I’m in New York City right now. Gosh it’s been fun! I haven’t been here in TWENTY-TWO years. It’s changed a bit. And the people seem friendlier than I remember. 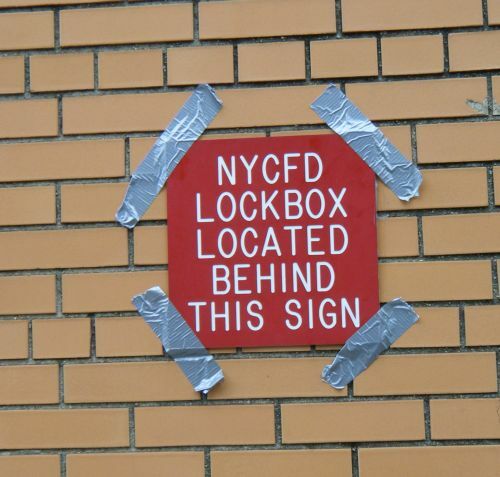 The good ol’ New York humor is still the same, though. 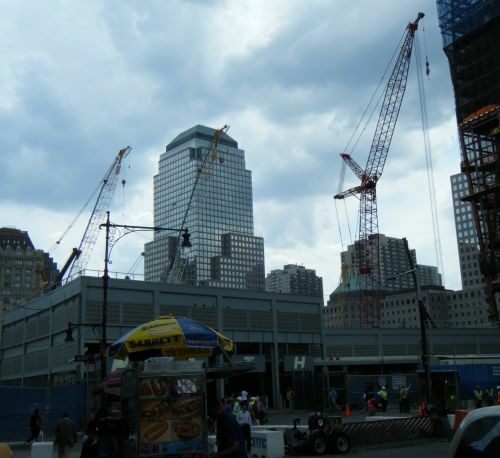 Construction at WTC Ground Zero. 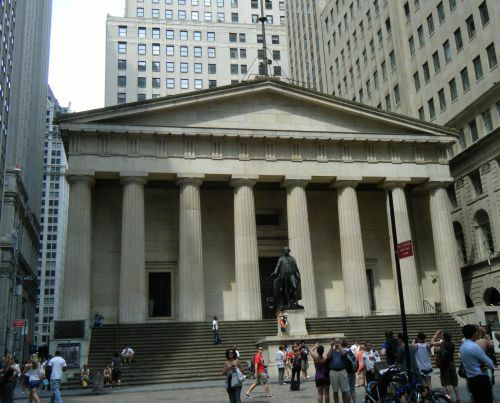 Where beloved George Washington was inaugurated: Federal Hall. I’ll have more about my trip soon. Riding the subway waas SO MUCH fun!!! Wow! Have fun in NYC! I never cared very much for NYC. I’m a country boy–don’t even want to live in a small town. Wow, well have fun!! Can’t wait to hear about the trip!! My husband and I have been able to go there several times. Two of those times were with Elderhostel which was so much fun and so interesting. My husband is a map person and he loved navigating NYC with the Subways and Buses. In my next life I am going to live there. I would love the excitement and being able to get whatever you need without having to drive an automobile. I’m looking forward to hearing about your trip there. Oh I would LOVE to see NYC…. REAL DANISH…. eat some for me! Loved to been there with you. Indeed want to read what else you had have to write on bring in NYC. Take care and hope all is well with you guys!